Your pest control technicians are servicing your clients all day long and you need to keep track on their activity. GoFleet’s real time tracking devices can make your fleet of pest control vehicles more efficient, improve customer service and reduce fleet-related costs. GoFleet’s real time tracking devices can give you the competitive advantage you need to increase business. You will be able to provide your clients with accurate estimated times of arrivals and short service windows. Your clients will not be stuck waiting all day for your pest control technicians to arrive on site. You will be able to tell your clients with confidence that your technician will arrive within 30 to 40 minutes. Your pest control clients will be so impressed by the high level of customer service they receive. When you implement GoFleet’s real time tracking devices in your vehicles, you will gain valuable information about your fleet operations that can help you make more informed business decisions. 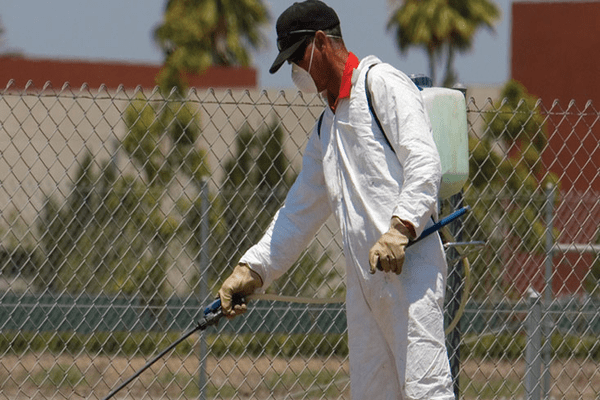 GoFleet empowers pest control companies with detailed routing and dispatching tools. In addition to knowing where your vehicles are located, you will find out information about your technicians’ driving habits. If your drivers drive aggressively, idles excessively or speeds, you can get notified with instant alerts even when you are offline. The alerts can be sent directly to your cell phone via SMS text messaging or email. This will ensure your technicians are driving safely and representing you professionally on the road. GoFleet’s real time tracking devices can be fully integrated with a wide variety of pest control software packages. This allows you to simplify dispatching and run the most efficient operations. GoFleet helps you get the most out of your technicians and fleet assets. For more information about GoFleet’s pest control company services, Contact Us.